The National Science Foundation has announced support for five NSF-CBMS Regional Research Conferences to be held during 2019. These five will bring to 377 the total number of such conferences since the NSF-CBMS Regional Research Conference Series began in 1969. These conferences are intended to stimulate interest and activity in mathematical research. 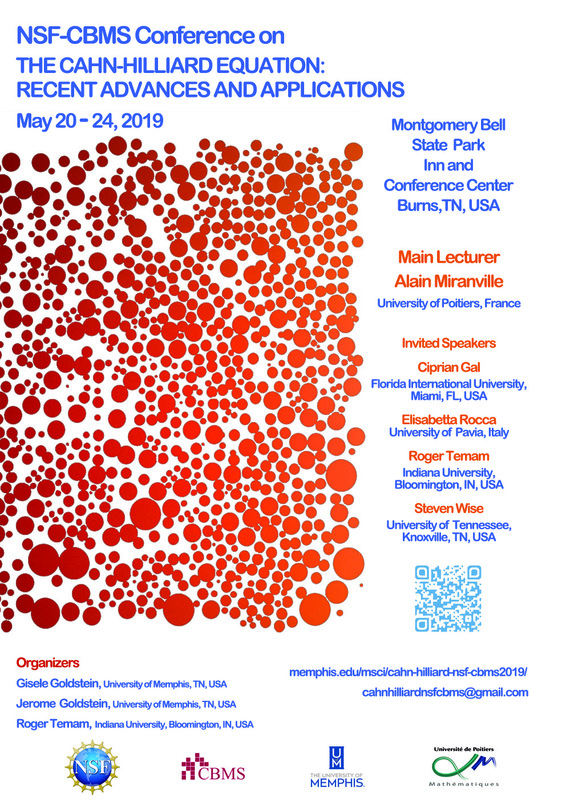 Each five day conference features a distinguished lecturer who delivers ten lectures on a topic of important current research in one sharply focused area of the mathematical sciences. The lecturer subsequently prepares an expository monograph based upon these lectures, which is normally published as a part of a regional conference series. Depending upon the conference topic, the monograph is published by the American Mathematical Society, the Society for Industrial and Applied Mathematics, or jointly by the American Statistical Association and the Institute of Mathematical Statistics. Support for about 30 participants is provided and the conference organizer invites both established researchers and interested newcomers, including postdoctoral fellows and graduate students, to attend. Information about an individual conference may be obtained by contacting the conference organizer.